Join Save the Planet and help us register the political party "Save Our One Planet" (TBC) for the next Federal 2019 Election. The Save the Planet executive has agreed to join forces with another political party so we can register in time for the 2019 Federal Election. The two parties will temporarily join forces under the party name "One Planet" (short version) and "Save Our One Planet" (long version). Each party will maintain their current policies but will unite under a set of goals (see below) and simple shared constitution develop for the purpose of election. The other political party, One Planet, is a rural focused party based in Victoria focused on the issues of global warming and political integrity. Please join ASAP as we are submitting our shortly. All levels of government implement, as their number one priority, the restoration of a safe climate and non acidic oceans aiming for pre-industrial levels of greenhouse gases and ocean acidity at emergency speed in order to avoid a ecological and social collapse, while maximising the preservation of human and non human life. Every level of government, under all jurisdictions, (and including at all bureaucratic levels), will ensure all decisions seek to enhance, restore and strengthen the ecosystems of our biosphere, hydrosphere and atmosphere, and ensure the processes within them are not interrupted, but can be operative indefinitely into the future. Enhance our democratic institutions by tackling issues such as undue influence by media, corporations, and major donors; adequate public funding of our democratic processes; lessening barriers to political participation; and developing parliamentary systems that allow for both local representation and proportional representation in all levels of government. Population growth and perpetual economic growth, will no longer be the major objectives of our Government, but instead an alternative economic system that sustains a high quality of life and equality of opportunity for all people on Earth as an ultimate goal. We tell the truth about how bad Global Warming really is. We demand the changes needed to give the best chance of stopping and reversing it. We deal with the whole issue from energy production to agriculture, economics, social justice and population. We are the only party campaigning on reversing global warming as our Number One priority. 3. We need to make the planet cooler. Most political parties are not even up to Basic Step 1. Their priorities delay action on global warming by putting its importance below tax cuts to corporations or stopping refugees. We have every technical solution we need to reverse global warming and create a safe climate but we just lack the political will. Take a look at this strategic level plan to achieve a safe climate, written by Philip Sutton for the Breakthrough centre. Practical steps are outlined on our policy page. Detailed solutions for a safe climate have have been developed by groups such as Beyond Zero Emissions. Getting the "Safe Climate" Message Out! To get the Safe Climate message out we need to spend money. Every dollar you donate goes into materials and election costs as Save the Planet is a volunteer-run organisation. Please donate ($1, $5, $50, $500) and help us spread the Safe Climate message. If we want to avoid a climate catastrophe, we must make global warming the primary election issue. Unlike any other party, Save the Planet's number one issue is Global Warming and the solutions needed for a Safe Climate. Yes, other parties have climate policies, but we are not distracted by other issues and are the only party focused on reversing global warming. Save the Planet will work with voters and parties across the political spectrum to achieve a Safe Climate. This is vital, with most right-of-centre parties being controlled by climate deniers and progressive parties only offering token or non-solutions that will not stop a runaway global warming event. Our mission is to campaign so effectively that all major parties match our position or get voted out. 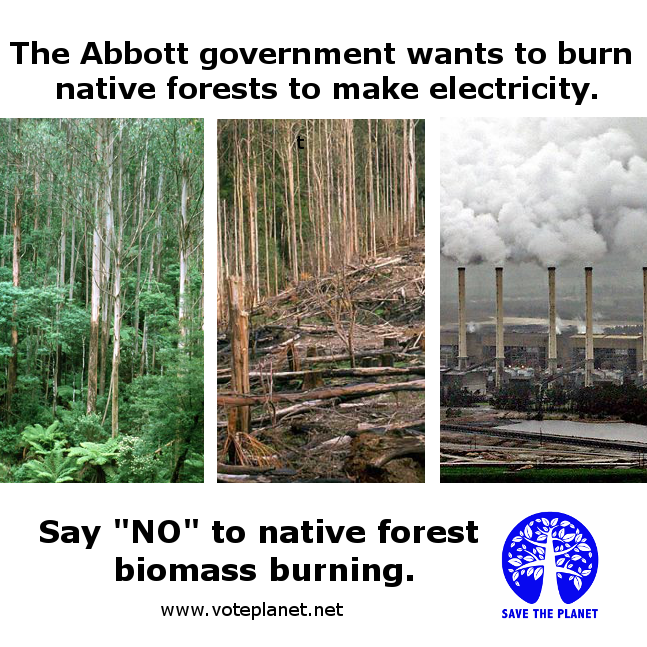 Only then will a Safe Climate be possible in Australia. The following 1 minute video explains why voting for independents minor parties such as Save the Planet is not a waste: https://www.youtube.com/watch?v=0xs1TUGwqiE. More questions? Have a look at our Frequently Asked Questions (FAQ) page.